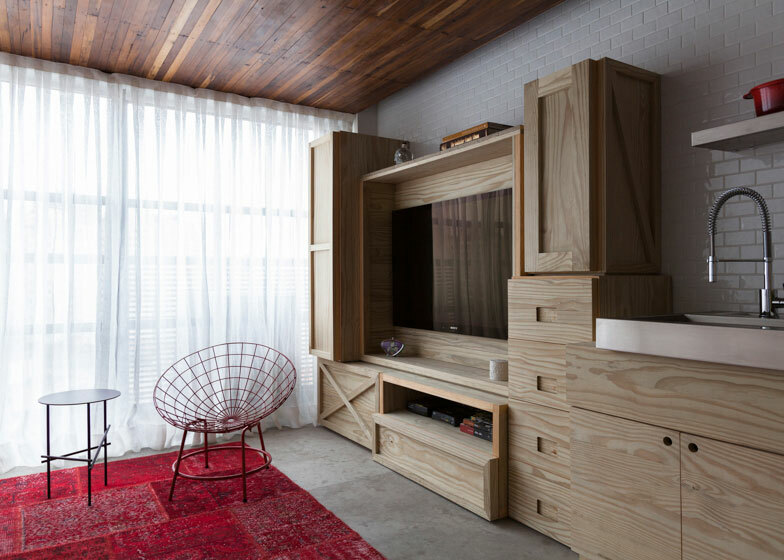 A jumble of wooden boxes provide a compact storage solution in this São Paulo micro apartment by Brazilian architect Alan Chu (+ slideshow). 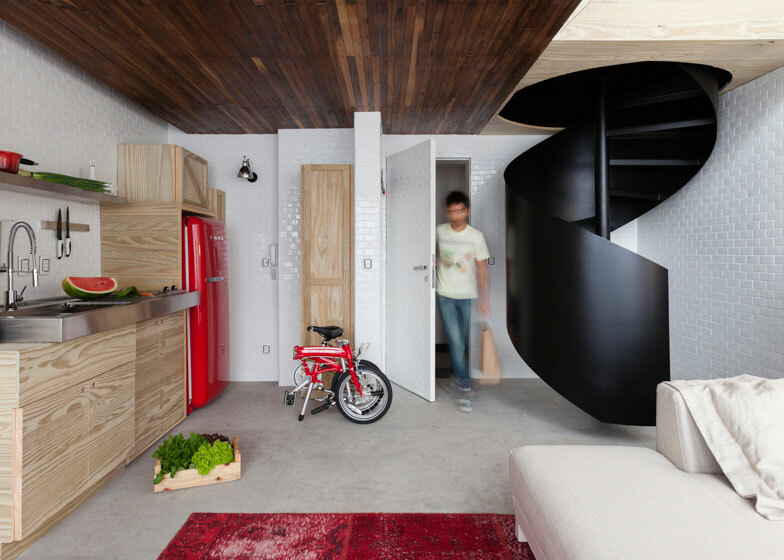 "The idea is to use a single element to organise the space of the small apartment with an area of ​​36 square metres, distributed over two floors," he told Dezeen. 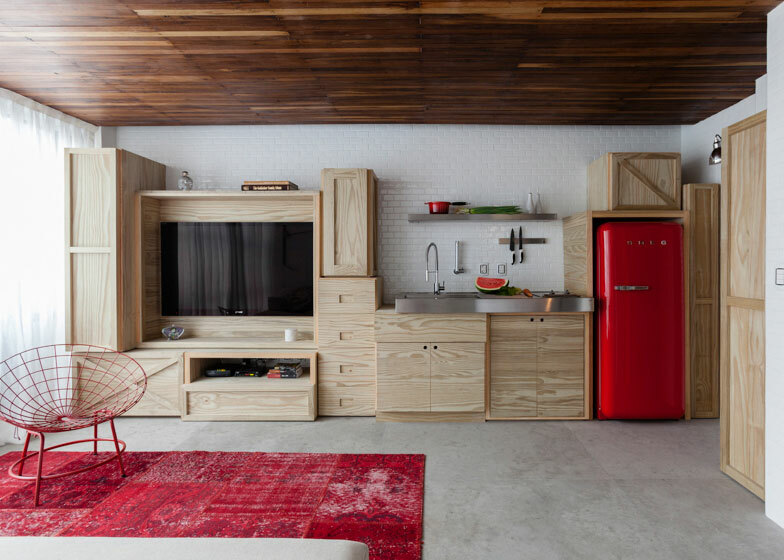 "The apartment is the temporary residence of a recently divorced young businessman and the decor plays with the transience of the moment: a time of changes, improvisation and reorganisation," Chu said. White tiles laid in a brickwork pattern cover three walls of the lower floor while the fourth is taken up by floor-to-ceiling windows. 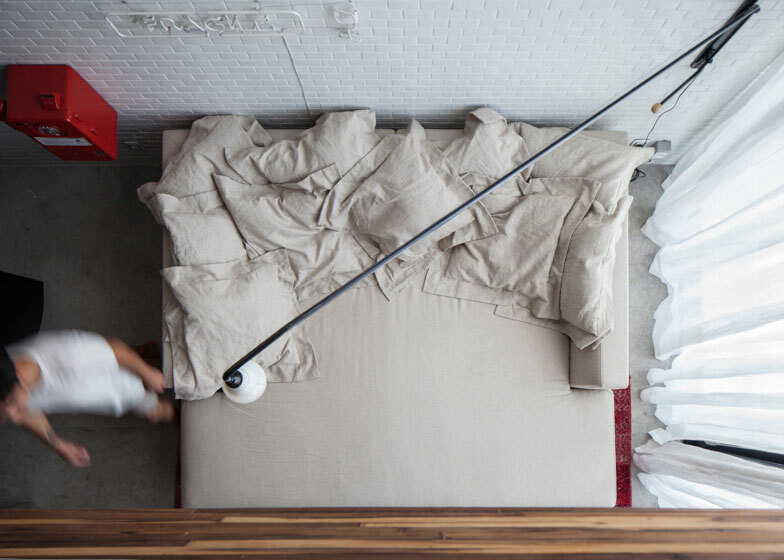 A large sofa bed beneath the double-height portion of the apartment takes up the majority of the floor space, though there is also room for a small table and chairs. 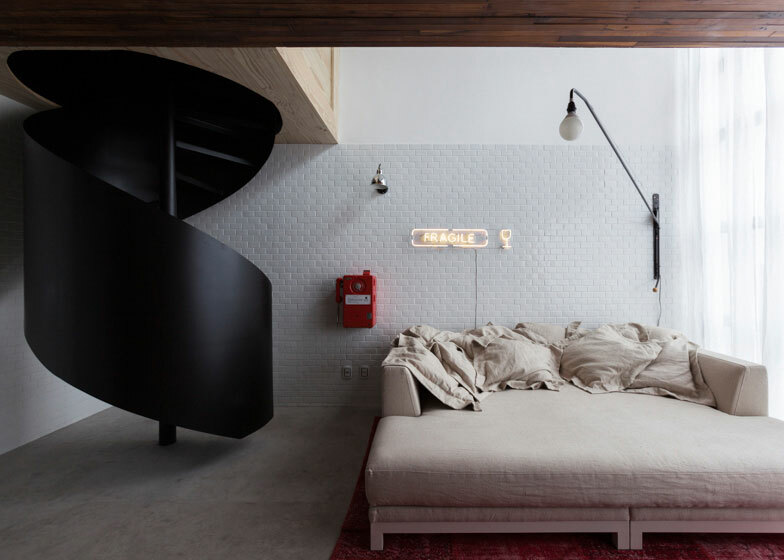 A black metal staircase spirals up to the mezzanine through another wooden box that sits opposite the bathroom, tucked in one corner and surrounded by dark walls. 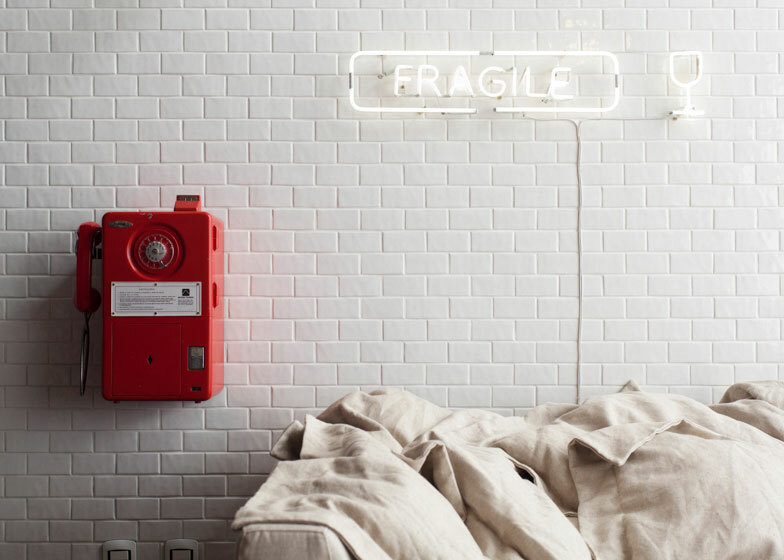 Black is also used for the wall behind the bed, the only item of furniture on the glass-edged balcony apart from a chair and a wall-mounted lamp. Dark wood covering the ceiling below is also laid on the mezzanine floor and glass panels form balustrades that help retain an open feeling. Last year we posted a secret tea shop hidden behind rolling, swinging and sliding walls that Chu also designed. This isn't the smallest home we've written about. Previously we featured Renzo Piano's tiny wooden cabin at the Vitra Campus for one inhabitant and a mini prefabricated guest house that gets delivered by helicopter. Photos are by Djan Chu.